The Japan Eye Genetics Consortium (JEGC) was established with the support of the Japanese Ministry of Health, Labour and Welfare to investigate genes responsible for inherited retinal diseases, including inherited optic neuropathy and inherited normal tension glaucoma. Phenotypic information and blood samples were collected from more than 38 ophthalmology departments in Japan. Whole exome analysis was performed for over 2,500 DNA samples collected, resulting in a large number of gene mutation specific to the Japanese population. 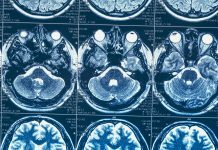 A number of novel disease-causing genes were also identified in this study. These novel genes will open new insight into how retina functions to maintain normal vision. 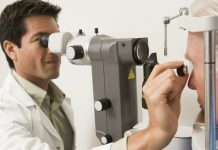 Common eye diseases, such as cataract, myopia, glaucoma and age-related macular degeneration are partly due to genetics, but the influence of a person’s genotype is more profound in inherited eye diseases. Inherited retinal diseases (IRD) are a group of rare ocular disease which effects retinal function, leading to a number of eye disease including retinitis pigmentosa (RP), macular dystrophy, Stargardt’s disease, stationary night blindness and 34 other diseases. These diseases are caused by gene mutation leading to the failure of cell function in the retina, such as photoreceptors, retinal pigment epithelial (RPE) cells, and bipolar cells. Inherited optic neuropathy and inherited glaucoma are caused by the failure of retinal ganglion cells (RGC), another cell type in the retina. Gene mutations are found in dominant, recessive, x-linked or sporadic forms and may change in certain ethnic groups or occur more commonly in particular ethnicities. Over 260 genes have been identified mainly in the Caucasian population but not enough studies have been conducted in the Japanese patients. To determine the types of IRD in the Japanese population and to identify the disease-causing gene mutation, the JEGC was established in 2011. Initial members were from ophthalmology departments of National Hospital Organization Tokyo Medical Center (NHOTMC), Aichi Medical University, Nagoya University, Mie University, Teikyo University, and Kinki University and the total number now involved has increased to 38. The project was initially funded by the Japanese Ministry of Health, Labour and Welfare and later by the Japan Agency for Medical Research and Development (AMED). This was the first attempt in Japan to survey IRD patients on the scale of the entire country. Since many of the inherited retinal diseases are extremely rare, collaboration at the level of one country is necessary to collect enough patients to study the disease. Each ophthalmologist enters a patient’s phenotype information and the family pedigree into the JEGC Genotype-Phenotype Database. 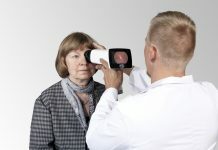 In addition to text-based information, fundus photo, fluorescein angiogram, optical coherence tomography, autofluorescence, electroretinogram (ERG), visual field and other phenotypic images are collected from each patient and family member. 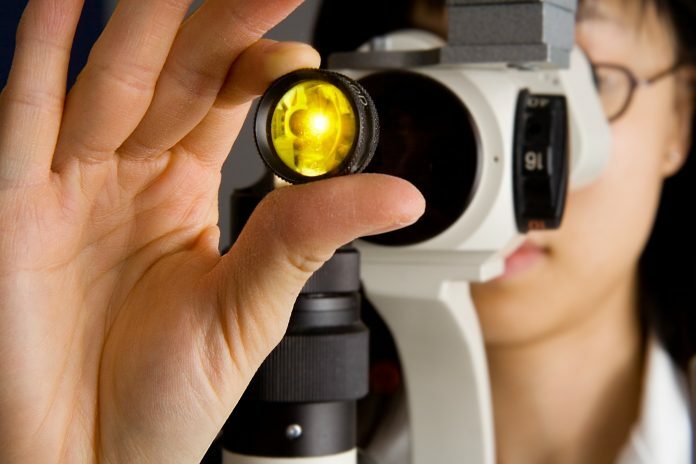 To maintain the quality of the diagnostic, JEGC designated ten ophthalmologists specialised in each retinal disease. Saliva or blood samples are sent to the National Institute of Sensory Organs (NISO)/NHOTMC for whole genome analysis. Over 1,400 family pedigrees have been collected, and the consortium aims to gather 5,000 in total. From the beginning of this project, we were surprised to observe that 80% of families studied were found to have novel gene mutations. Approximately 8% of the families were found with a potentially novel disease-causing gene of unknown function. Functional analysis is underway to characterise each of these genes in detail. In 2015, the funding for JEGC project moved to a new government agency AMED. AMED was established in April 2015 to combine grant funding of three Japanese ministries to catalyse the process of medical innovation and overcome the barriers between ministries, connecting talented research groups in Japan and elsewhere to accelerate medical research and therapeutic development. Under the AMED funding, additional goals of identifying the molecular mechanisms of disease onset and development of therapies for retinal eye diseases were added to the project. After genetic analysis of over 1,300 patient families, over 100 families are potentially caused by novel genes of unknown functions. JEGC has identified five novel genes for occult macular dystrophy (RP1L1), Leber’s congenital amaurosis (CCT2), retinitis pigmentosa (C21orf2), cone-rod dystrophy (C21orf2), macular dystrophy (LRRTM4) and continuously works on the rest of the novel genes. We were able to show that knock-in mice from each gene also developed a patient-like phenotype which adds more proof to the disease association. 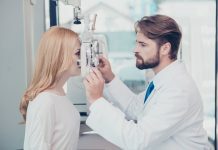 A significant amount of information has been accumulated for how a normal retina functions, however, the biological influence of each gene mutation to a normal retina has not covered for all disease-causing genes. As more novel disease-causing genes are discovered, the mutant functional study needs to catch up. The omics, genome, transcriptome, proteome techniques are being applied to this investigation. Induced pluripotent stem (iPS) cells, from patients are generated and differentiate to neuronal cells, RPE cells or other retinal cells to observe the patient condition in the mimicked cells. We also developed mutant animal models using CRISPR/Cas9 gene editing system to prove that one amino acid substitution can lead to the onset of disease. Protein interaction studies and protein modification analysis is performed as part of the functional analysis of mutant proteins. These functional analyses provide basic seed information to search for a potential drug to prevent or slow down the progression of the diseases. Such a result was achieved in our lab from functional analysis of inherited glaucoma gene optineurin (OPTN). A mutation in OPTN can lead to severe glaucoma with strong penetration in the family with the mutation. A patient carrying this mutation is likely to lose half of their visual field by the age of 40 and will progress to full blindness by the age of 80. The mutant OPTN E50K protein strongly binds to a protein called TANK binding kinase-1 (TBK1), which gave us drug target. We found that by chemically inhibiting TBK1, this protein association was greatly reduced. We further identified an FDA-approved drug Amlexanox that inhibited TBK1and tested this for a year with disease model OPTN E50K knock-in NTG mice. After one year, we showed that the drug provided significant neural protection from the precursors to glaucoma. JEGC is regularly contacted by pharmaceutical companies from around the world who are planning clinical trials. A number of clinical trials are underway in JEGC. From the success of JEGC, Asian Eye Genetics Consortium (AEGC) was established in 2014 by four countries. In 2018, a plan to expand to Africa and South America was unanimously approved and Global Eye Genetics Consortium (GEGC) was established. GEGC China was launched in May 2018 and GEGC India in February 2019. In each of the regional GEGC meetings, JEGC has been shown as one of the successful models to maintain its structure representing the entire country. 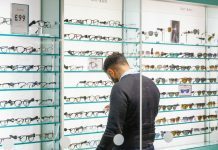 As we move towards an era of globalisation, it would be easier to share genetic eye information through similar organisations from each country. GEGC has now grown to 30 counties and is being promoted to countries throughout Asia, Africa and South America.